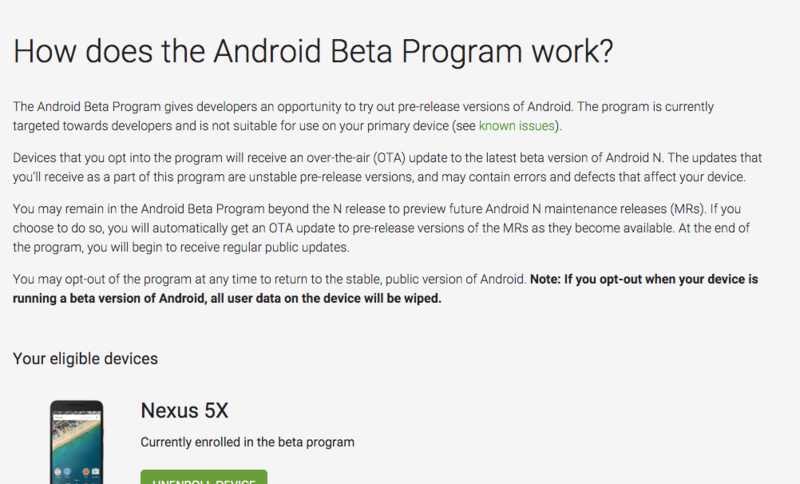 It took a couple of hours, but the Android Beta page is finally live. 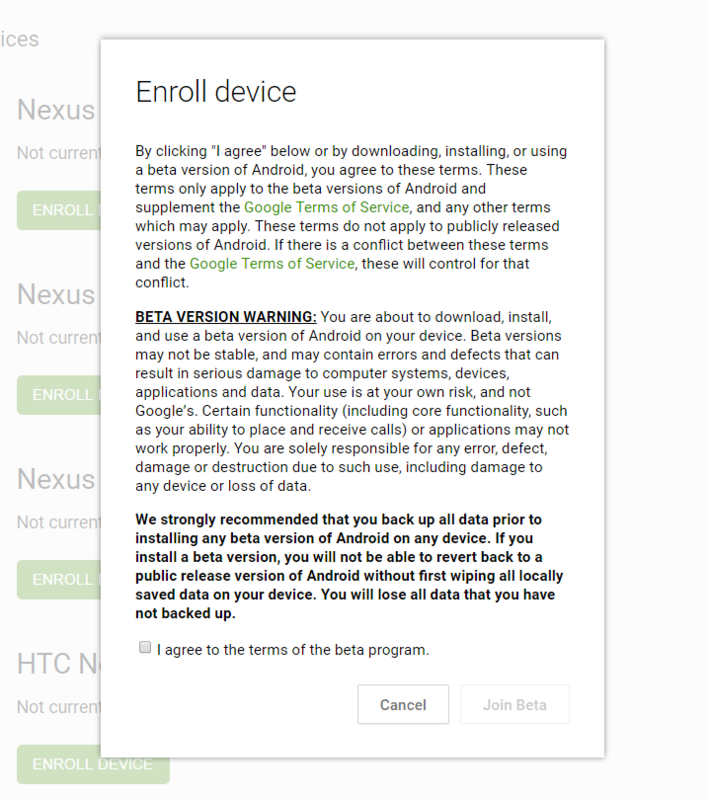 There, you'll be able to sign up for the Android Beta Program and enroll any or all of your eligible devices. 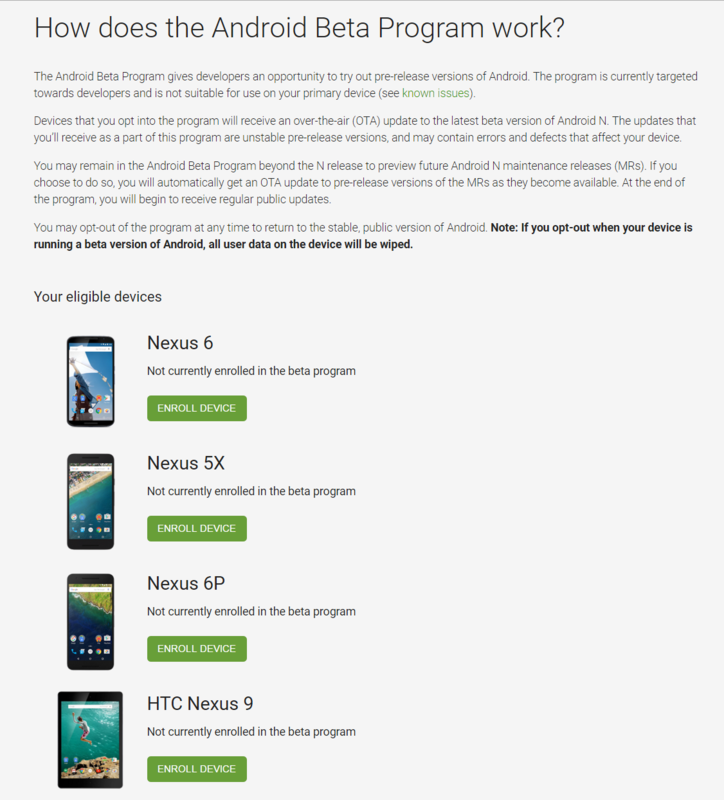 Currently, these include the Nexus 6, Nexus 9, Nexus 5X, Nexus 6P, Nexus Player, and the Pixel C, though it's been hinted that some other Android One phones like the General Mobile GM Plus 5 may also join the program somewhere down the line. 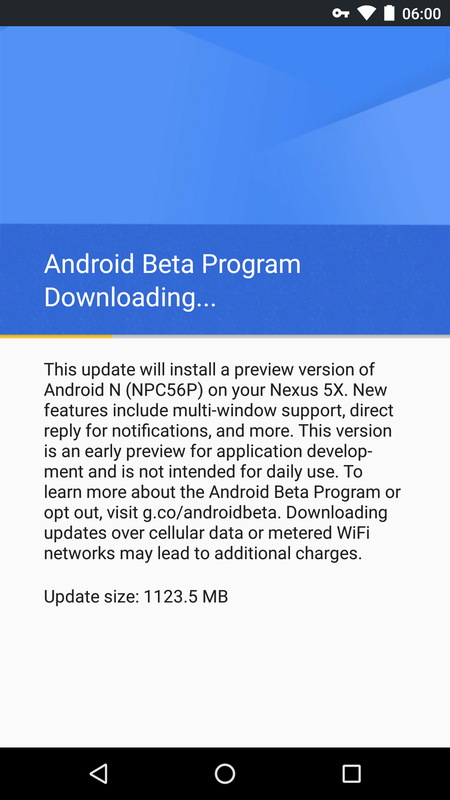 Signing up for the Android Beta Program delivers preview Android N OTA updates directly to your device, up to 24 hours after they're released. For now at least, the wait period is much shorter: I received a notification on my Nexus 5X literally seconds after enrolling it. 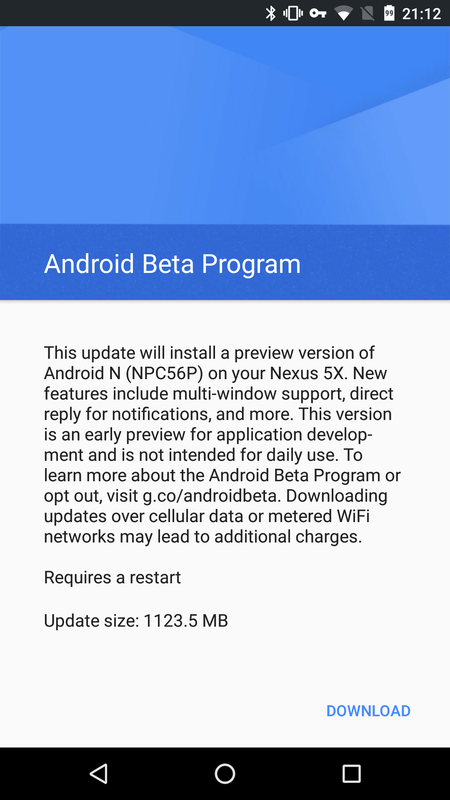 It goes without saying that this is still a very early unstable Android build that you really shouldn't be installing on your main device. 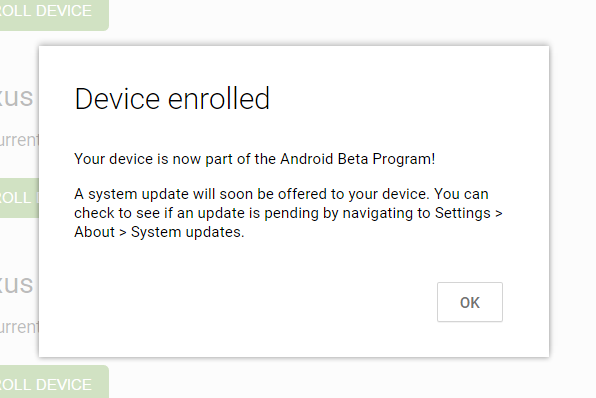 You'll run into many issues and bugs, and if you change your mind and decide to opt-out after joining the program, you'll get an OTA that will roll your OS back and wipe all user data on your device. Proceed with caution. 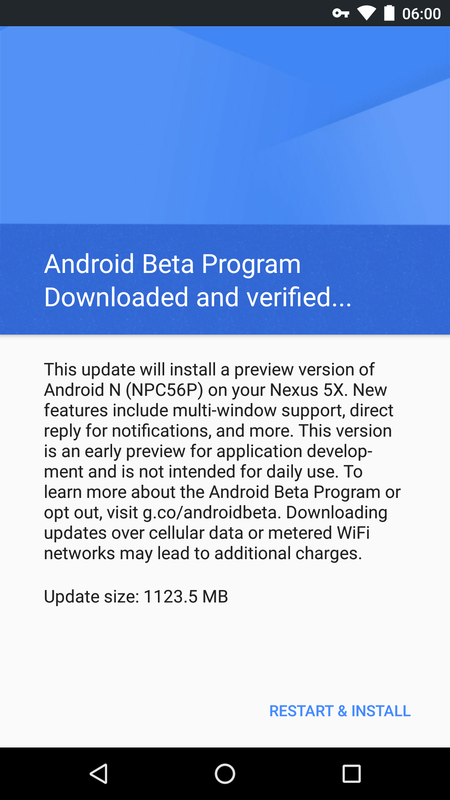 An updated Android Beta page now shows the General Mobile 4G as eligible for the program, making it the first Android One device to do so. This isn't the new General Mobile GM Plus 5 we saw at MWC, it's actually the phone General Mobile released last year.